There are lots of decking materials on the market. Composite, recycled, reclaimed, vinyl, natural. face with the large amount of choices maybe you will confusing. you may surprise you but with all the materials on the market the best decking material is still composite decking. 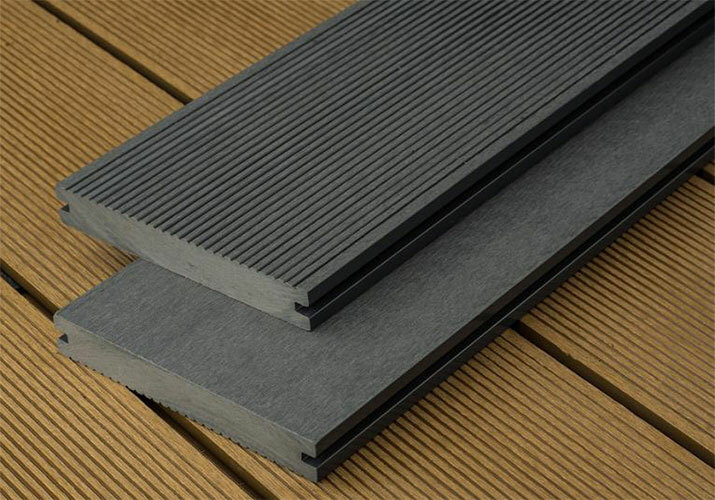 Composite decking material is popularity as a construction material for interior ,outdoor and other field, makes the composite decking to be best choice when it comes to best material for a home decoration. What makes composite decking wonderful and especially fascinating is it’s exceptional ability to resist moisture, termites, acid and waterproof, weather resistance. The unique material in composite wood is also responsible for it’s ability to resist the natural warping and cracking over time. moreover composite wood also possesses anti-slip and uv-resistance features. When it comes to choosing a decking material it’s important to look for a material that is both durable, aesthetically pleasing and environmentally friendly. composite decking made into seldom wood ,a large part of recycle material. therefore can effective protection of the environment. After doing extensive research on decking materials discovered that composite decking not only beautiful but also eco-friendly and incredibly durable. If you want a beautiful deck that doesn’t require constant maintenance choose composite wood. composite decking is the best material on the market because of it’s natural beauty, durability and because it requires minimal maintenance.